Amusement parks in anime are a mixed bag - they can be awesomely fun, or terrifyingly creepy. If fictional theme parks are not your thing, we've got you covered with a list of real anime amusement parks too! There are amusement parks, and then there are anime amusement parks. Amusement parks in anime are depicted as being fun places full of bright lights, tons of people, and lots of sounds and sights to take in. ...If they're open to the public, that is. Once a theme park closes down, it becomes a horror movie set. If the fictional amusement parks below leave you craving the real thing, scroll down to the end of this article for some awesome real amusement parks based on anime. Tickets please, it's time to ride the amusement park roller-coaster. 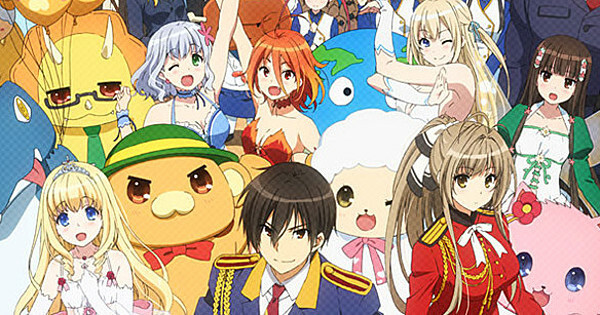 Amusement parks are a favorite date spot for a number of anime. There's a tangible thrill and excitement in the atmosphere when you walk through the gates. Amusement parks provide an opportunity to go on a sugar high with some cotton candy, win prizes for your date, or even hold their hand… so you don't get separated, of course! 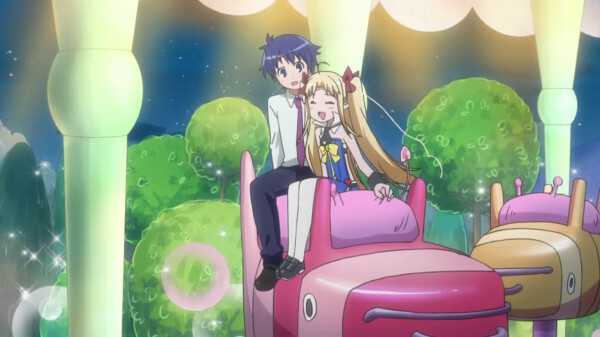 Lotte takes Naoya to an amusement park on their first date in Astarotte no Omocha. It happens to be the perfect spot for the two to bond, especially since the park turns out to be a private spot for them, with the couple as the only visitors. Never visit an amusement park after it's closed down. Seriously. Even horror greats like Alfred Hitchcock recognize shut down amusemet parks as places of doom and despair. 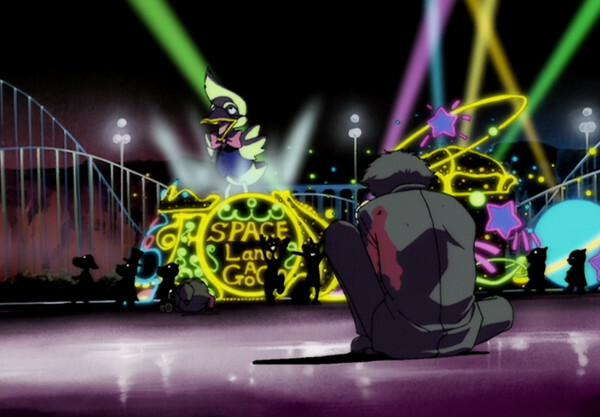 Cowboy Bebop throws us headfirst into Spaceland to show the horrors of an abandoned amusement park. During the day when the crowds flood into amusement parks, the music and sounds of the rides are fun and festive. At night, when not a soul is around, they turn eerie. 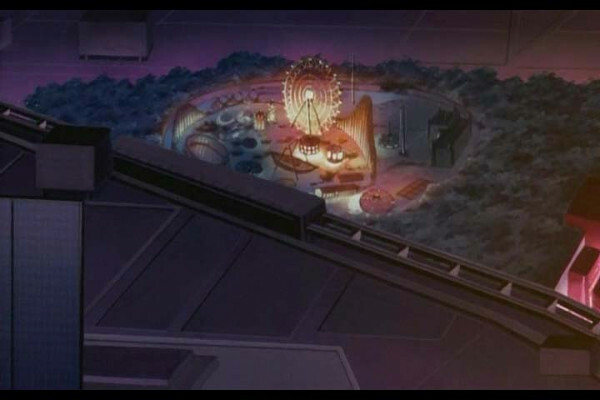 One glimpse at the half-alive amusement park in Cowboy Bebop is enough to send shivers down your spine. Theme parks and anime don't just come together on the screen: there are a few places in Japan where you can see your anime come to life with rides and attractions. The One Piece Tower, for instance, opened last year to celebrate the 15th anniversary of the One Piece anime. 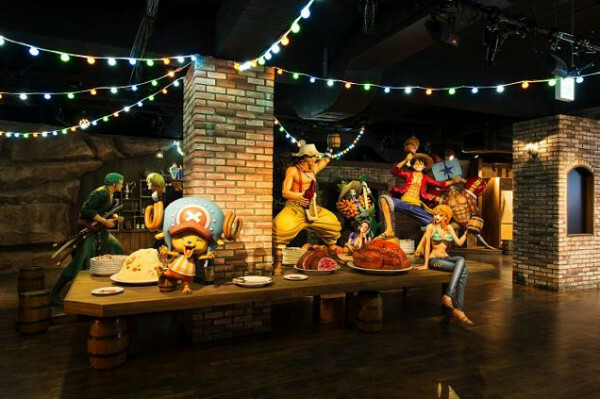 Visitors to the Tokyo park can play some carnival games, check out sculptures and recreations of some of the characters and locations in the anime (like the anime's ship), eat One Piece-themed food, and watch a live performance. One Piece is featured in another anime theme park, the Shonen Jump Park inside a mall in Ikebukuro. 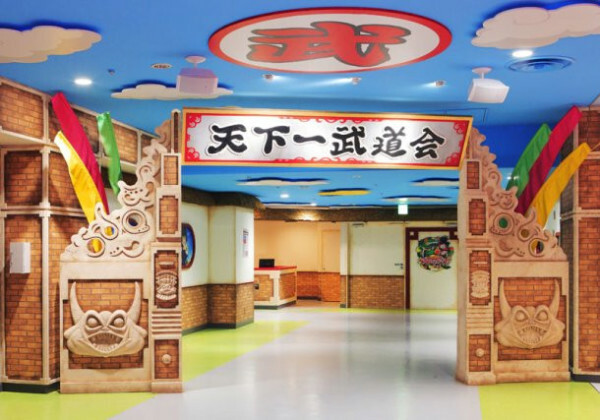 Aside from everyone's favorite seafaring crew, the indoor park also dedicates space to other popular shows like Dragon Ball, Naruto, and other Jump favorites. You won't find any roller coasters here since the space is indoors, but you can try your hand at obstacle courses and puzzles themed around the different anime. Of course, neither of these amusement parks compare to the anime theme parks you can find inside Universal Studios Japan. Here, you will find yourself in the middle of a battle between giants in the Attack on Titan attraction or surrounded by references to Neon Genesis Evangelion in the Evangelion attraction. 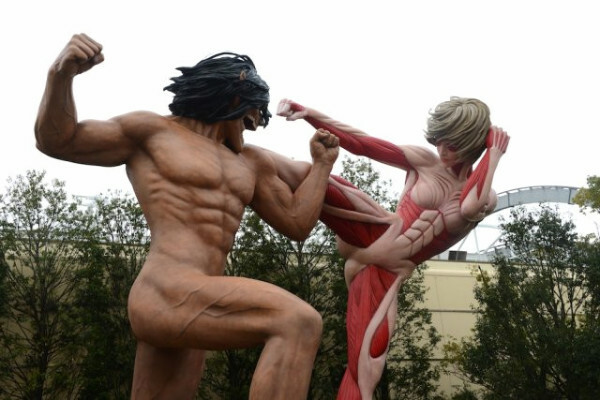 The Attack on Titan theme park, in particular, is a wild one. Who hasn't wanted to see what it's like to be devoured by giants created with "the world's most advanced technique to recreate humans?" Anime has castles in the sky, underground, and everywhere in between… and we wish we could live in them all. Here's our list of the most impressive anime castles ever. Anime has some incredible cities. Some marvels are located not in front of our faces, but under our feet. These 10 underground anime cities may have their reasons for heading into the earth, but they're stilll pretty impressive to behold.